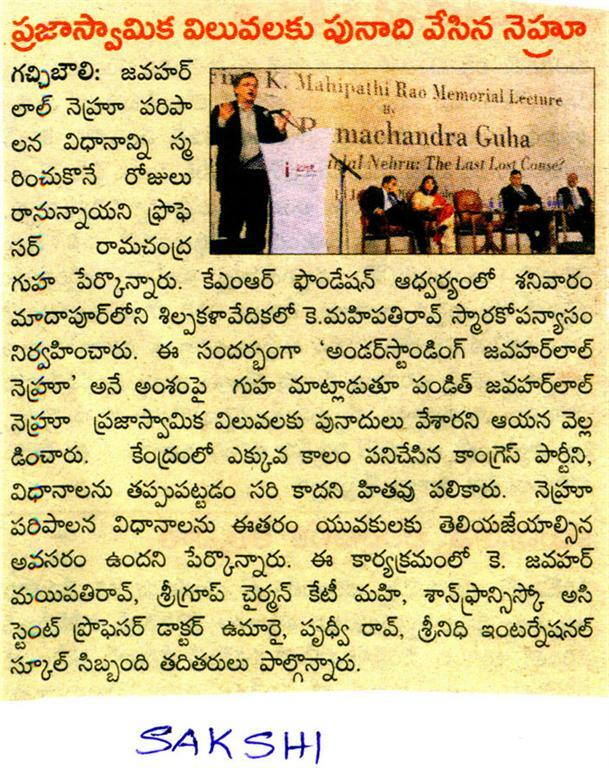 A lecture by an eminent writer and historian of India, Prof. Ramachandra Guha was held in Shilpa Kala Vedika near cyber towers on the 10th of January 2009 at 11 am in the morning. 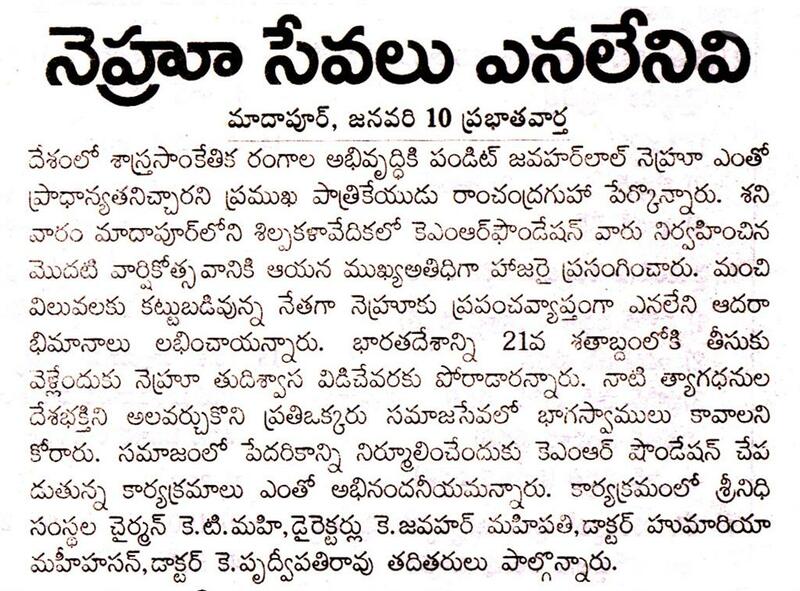 The promoter of this event was the sreenidhi group. 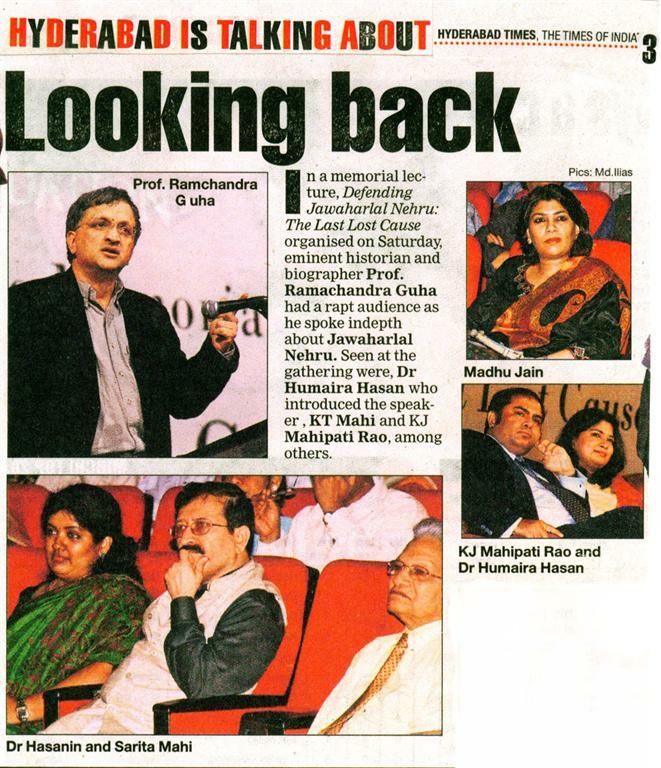 This event was held in the memory of late sri Mahipathi rao, father of Mr. K.T.Mahi, chairman of sreenidhi group. The lecture was mainly about why Jawaharlal Nehru’s reputation was not as deep as compared to the reputation he had before in the 1950s. He feels that people think that he was one of the main causes for the partition of India and Pakistan but they never thought about his role in the freedom struggle of our country. Listening to his lecture, it is likely that he was and is a big time fan of Pandit Jawaharlal Nehru. He told that he has a photo of Nehru hanged in his drawing room. This shows that he has great respect towards Nehru. Gandhi was a bit more traditional while Nehru was westernized in his work. Nehru was impatient and was a bit short tempered while Gandhi was patient and had good control over his temperament Etc. A person who had almost the same thoughts as Gandhi. He was chosen as the prime minister of India thrice i.e., he led India towards success thrice. He lived for a long time. If he would have died at 58 or so then his decisions wouldn’t have gone wrong. By understanding his lecture, we come to know that we must not judge a person with only one mistake that he committed but also see his good deeds and service to the betterment of the society. 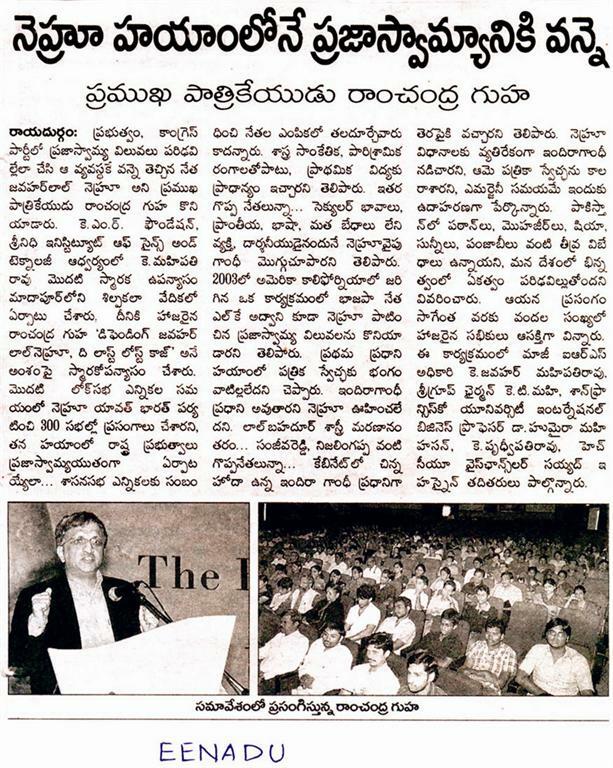 First lecture in memory of Sri K.T.Mahipathi Rao, father of Mr. K.T.Mahi was given on 10th January 2009 at Shilpa Vedika by Prof. Mr. Ramachandra Guha, an eminent public intellectual.